klaas-t 2 days, 12 hours ago. The good news is that LineageOS 16 for Xperia Z1 is now available to download and install. This LineageOS 16 build is brought to you by developer NyQuilXT. 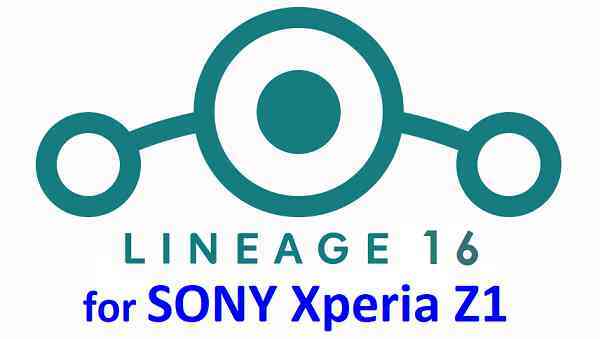 Searching where to download LineageOS 16 for Xperia Z1? Wondering how to install LineageOS 16 on Xperia Z1? If you have one of the question for your Xperia Z1, then you are at the right place and here is where to download and how to install LineageOS 16 on Xperia Z1, with a step-by-step guide. THIS IS AN INITIAL BUILD OF LineageOS 16 FOR Xperia Z1, WHICH MAY HAVE MANY BUGS. Installing a custom ROM may require an unlock bootloader on Xperia Z1, which may VOID your warranty and may delete all your data. Before proceeding further you may consider backup all data on the phone. Download and Copy the Xperia Z1 LineageOS 16 ROM and GApps ZIP file to your phone. Boot into the TWRP custom Recovery to install this LineageOS 16 on Xperia Z1. Reboot and Enjoy the Android 9 Pie LineageOS 16 on Xperia Z1. Install the LineageOS 16 for Xperia Z1. If you don’t have GApps after upgrading the LineageOS 16 on Xperia Z1, then flash the GApps. If you don’t have ROOT after upgrading the LineageOS 16 on Xperia Z1, then flash the SuperSU or Magisk or the Lineage SU binary. Once everything is done, reboot and Enjoy the LineageOS 16 on Xperia Z1. Complete the initial setup and enjoy Android 9 Pie with LineageOS 16 on Xperia Z1. Stay tuned or Subscribe to the Xperia Z1 (honami) LineageOS forum For other Android Pie, Android Oreo ROMs, Nougat ROMs, or other ROMs and all other device specific topics. I had a stable install of Honami Resurrection Remix 7.1.2 and dared to install the Lineage OS 16 without wiping the former system. (Probably not a reccomendation for everyone- I had a safe backup, though) To my surprise nearly all of the apps of the old system were there an working. The whole system works fine. ‘After install Magisk was not working any moreand I had to patch to Version 19, to get root access for AfWall. Up to now I experienced to minor bugs: NTP Time Sync ist not working an I had one camera freeze. PS: For install I had to update to TWRP 3.2.3 Green Image. Former version 3.0.2 will not do. All in all I am fairly enthusiastic about the all in all performance and stability of this unofficial state of the system.